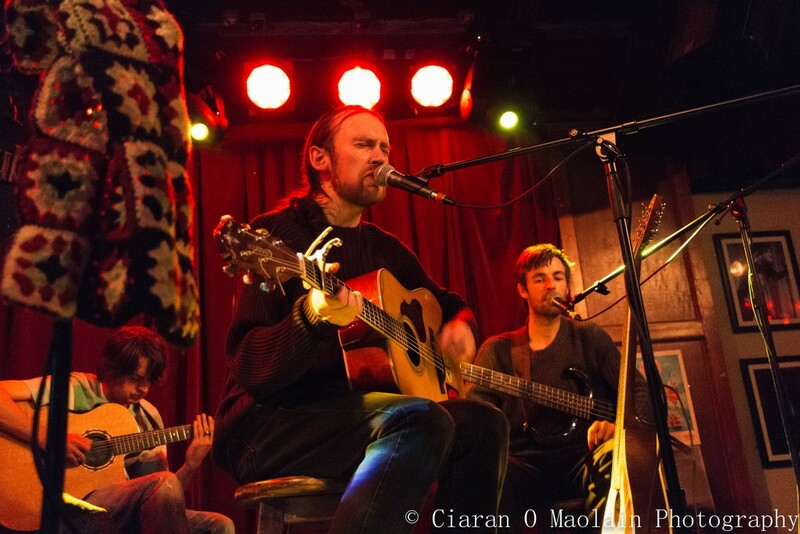 Since moving house to The Róisín Dubh, Citóg has become one of the best musical showcases in Galway. Audience numbers continue to grow regularly as David Boland and Jay Burke bring higher quality national acts to headline each week, with the best of local acts playing support. This week saw the return of highly acclaimed folk act, The Driftwood Manor, to top the bill. Eddie Keenan is among the finest songwriters in the country, but his work with The Driftwood Manor has produced some of his most interesting music. Though they come without a “full band” for this Citóg show, they still have four musicians on stage, each adding a brilliantly thick layer of atmosphere to the sound. Their set is a gorgeous array of haunting and emotive noise, with the adept fiddle playing of Neil Fitzgibbon and the backing vocals of their bass player responsible for creating most of the songs’ mood. The lead guitar of Fergie Milton is perfectly played, but almost too bright and polished for the uneasy, tense music created by the rest of the band. When Keenan swaps guitar for Bouzouki for a couple of tracks it makes for better dynamics. Keenan’s vocals are intriguing, his tone is perfect for the music that backs him and evokes thoughts of 19th Century America and prospecting for Gold and Oil. This tinge of the old-time is most evident in their single, “Fire & Brimstone”, which is one of the highlights of the set alongside “Fraction of a Wolf”. Roisin El Cherif and Étáin footed the bill on Wednesday, and they came with no shortage of acclaim themselves. Roisin has been busy this summer with sets at Body & Soul and Electric Picnic. She also came out on top of 400 submissions to play the Unsigned Act at Sea Sessions. Roisin has a background in Film and TV Production which clearly aids her stage presence, even during technical difficulty on the very first song she keeps cool and relaxed. Her vocal performance is incredible throughout the set, with plenty of soul and perfect delivery. Her songs have plenty to catch your ear with popping melodies and choruses. It wouldn’t be at all surprising to hear El Cherif’s music getting a lot of airtime on the radio in the future. Her latest single “Kerosene”, the video to which she directed herself, highlights her incredible voice but also gives a taste of what she can do with a full band behind her. I look forward to seeing more from her. 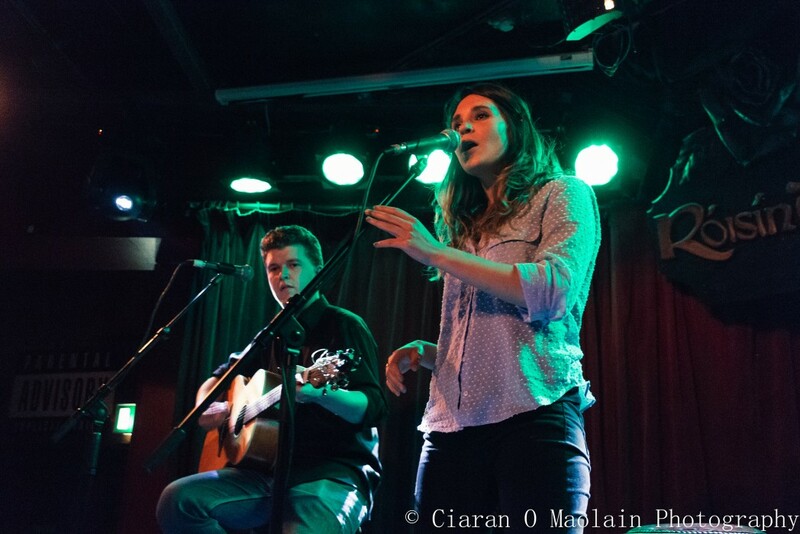 Étáin opened the night; another young artists with plenty of credit to her name. Winner of the 2016 Young Songwriter’s Award, Étáin is an 18 year-old singer/songwriter from Leitrim. Despite her youth, she exudes confidence on the stage and clearly has faith in her songwriting. She also seemed to be thoroughly enjoying the set, which was great to see. Her voice is good but sometimes too delicate; I’d like to hear her really belt out a chorus and get fiery. Her piano playing is excellent and pairs very nicely with her voice. There is plenty of room for Étáin to grow and she is definitely one to watch in the future. Photos by Ciaran O Maolain Photography. Citóg is an old Irish term denoting a left-handed person. Sinistrality being considered a sign of the devil, the term Citóg was often ascribed in a derogatory manner to those considered ‘a bit special’. Citóg is also a weekly celebration of music considered to be a bit special. In a good way. It takes place on the first three Wednesdays of every month downstairs in the Róisín Dubh. Each week there are three original acts and admission is free. Sponsored by The Chili Shack. I simply want to tell you that I’m very new to blogging and truly savored your website. Most likely I’m planning to bookmark your blog . You certainly come with fantastic stories. Thanks a lot for revealing your web site. A lot of thanks for all of the work on this web site. Gloria take interest in managing research and it is simple to grasp why. All of us hear all concerning the powerful way you render priceless guidelines on this web blog and improve contribution from the others on the concept and our daughter is undoubtedly understanding a whole lot. Take advantage of the rest of the new year. You are carrying out a really good job. Well I definitely enjoyed studying it. This tip procured by you is very constructive for good planning. I’m still learning from you, as I’m improving myself. I certainly enjoy reading everything that is posted on your website.Keep the information coming. I loved it!